More than 155 000 lightning impacts were recorded for the sole month of May 2018 in metropolitan France, it’s an activity record not seen in more than two decades! On May 28th 2018 only, there was more than 30 000 discharges cloud-ground (lightning impacts) recorded. 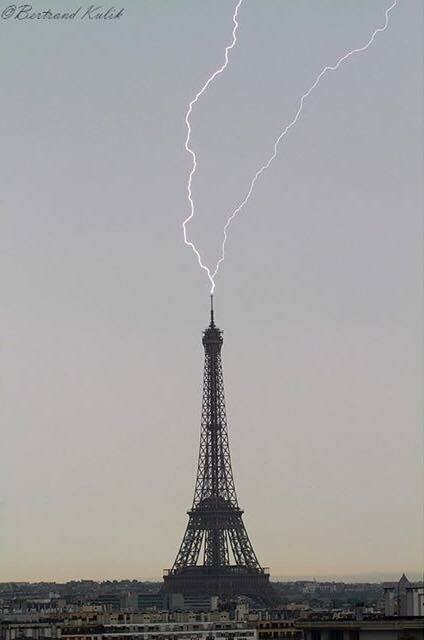 On May 22nd 2018, the Eiffel Tower was struck by lightning. According to Météorage, the impact was composed of 6 arcs distinct which circulated in the 2 canals seen on the picture. 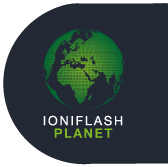 The IFLASHREPORT counters has confirmed the impact and gave information on its localization and its intensity. This lightning “upward induced” was captured and conducted via the Lightning Protection System installed by France Paratonnerres. On May 28th 2018, around 8:45 PM, lightning struck the Eiffel tower again. The IFLASHREPORT counters, installed at the level of the earthing system, have recorded these events and allowed at the staff of the Eiffel Tower to realize verification and preventive maintenance procedures. There was no damages there, and the Lightning Protection System is still operational.